Jane is in disbelief when she enters Rafael's apartment to find Michael standing there. Is it really him? 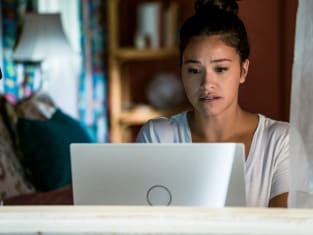 Jane the Virgin Season 5 Episode 1: "Chapter Eighty Two "